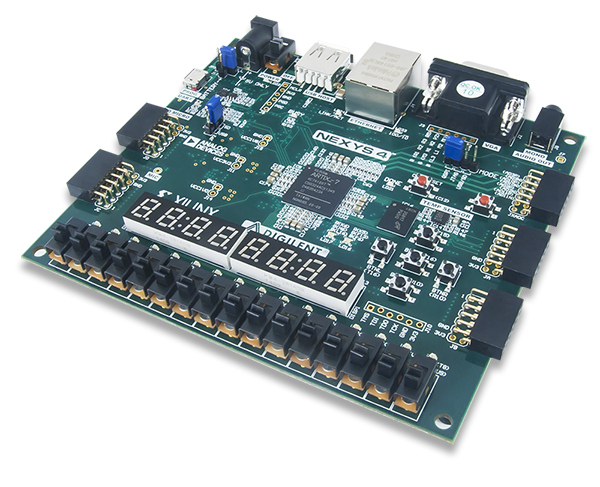 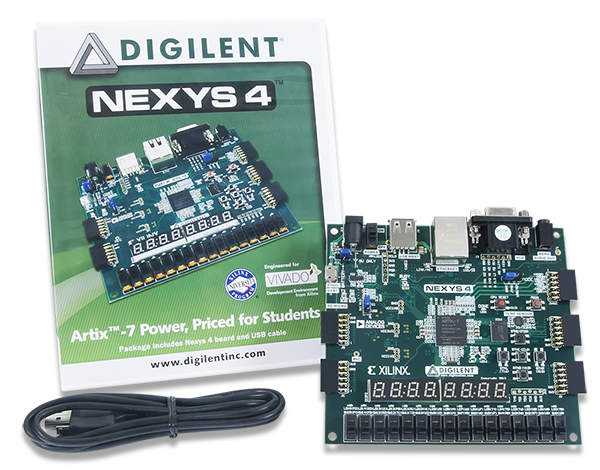 The Nexys 4 board is a complete, ready-to-use digital circuit development platform based on the latest Artix-7™ Field Programmable Gate Array (FPGA) from Xilinx. 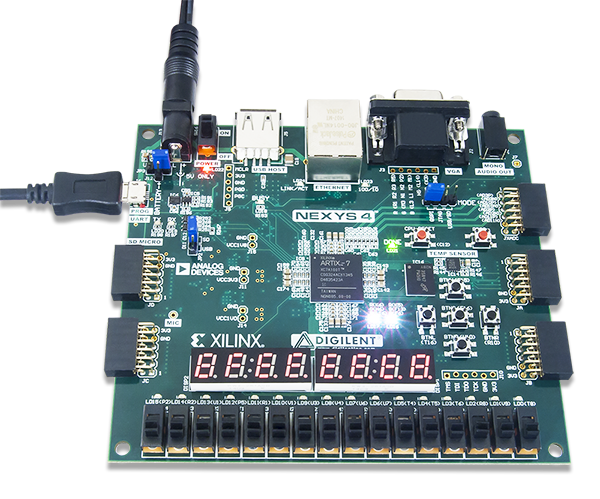 With its large, high-capacity FPGA (Xilinx part number XC7A100T-1CSG324C), generous external memories, and collection of USB, Ethernet, and other ports, the Nexys 4 can host designs ranging from introductory combinational circuits to powerful embedded processors. 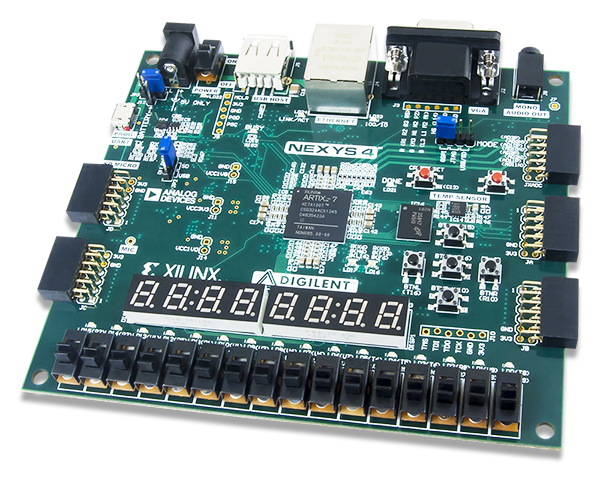 Several built-in peripherals, including an accelerometer, temperature sensor, MEMs digital microphone, a speaker amplifier, and a lot of I/O devices allow the Nexys 4 to be used for a wide range of designs without needing any other components. 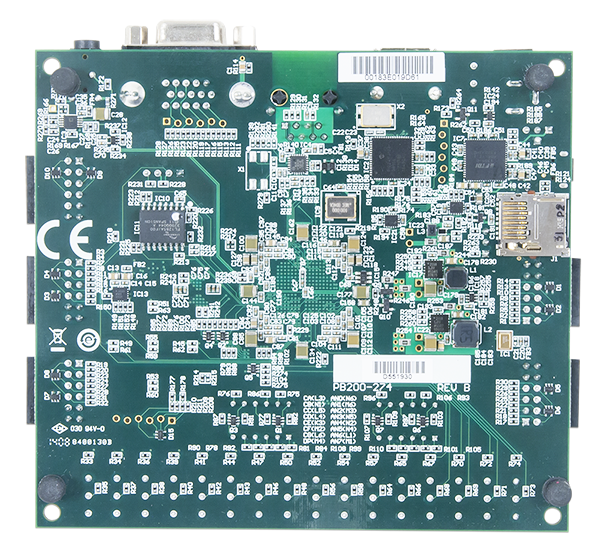 No projects were found for the Nexys 4. 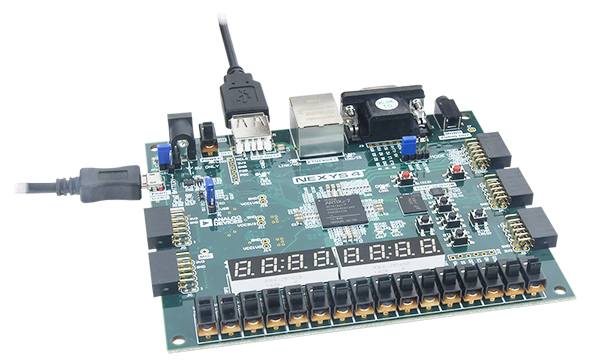 Be the first to post a project here!